If poetry is a compass for us as readers to find our place in the world, it is necessary for the poet first to get his or her bearings in time and place. And, that is exactly what Rupert Fike undertakes to do in his newest collection, Hello the House (Snake∼Nation∼Press). The poems here are rich with memory, rumination, and images evocative of a particular place and culture. And, Fike’s imagination drifts easily and dreamily between past and present, flowing inexorably to insights gained or wisdom to share. More important than Fike’s eye for telling detail and gift for story-telling, though, is his moral/ethical compass, which guides him in staking claim to a territory all his own in this world, even if doing so lands him on the other side of the metaphorical fence from family and neighbors. He has waited too long to bring me out here. when it comes bounding past with great leaps. I first learned to feel sorry for someone. For the old man. So alone. Out in the cold. Who no one would help. And I felt sorry. Mother wanted to move on, but I dug in. though I could tell she really believed it. in the great church of grown-up wisdom. I’d have to figure things out all by myself. 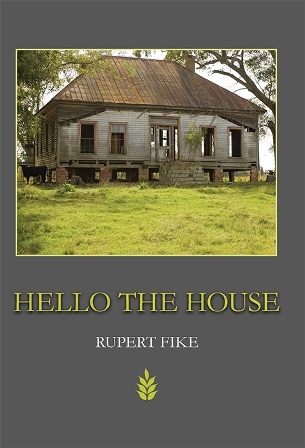 If the 47 poems in Hello the House are a true indicator, it appears Rupert Fike has done a lot of figuring things out. And, for that, we are fortunate to have him as our guide. Hello the House is the winner of the 2017 Violet Reed Haas Prize for Poetry. 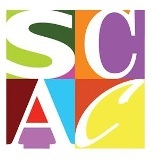 Fike’s previous collection, Lotus Buffet (Brick Road Poetry Press, 2011), earned him recognition as a finalist for the Georgia Author of the Year Award, the oldest literary prize in the southeast.